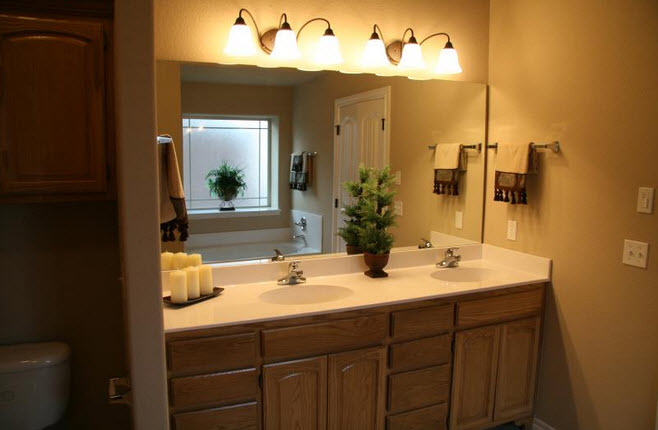 Remodel your bathroom into a more beautuful functional home area. 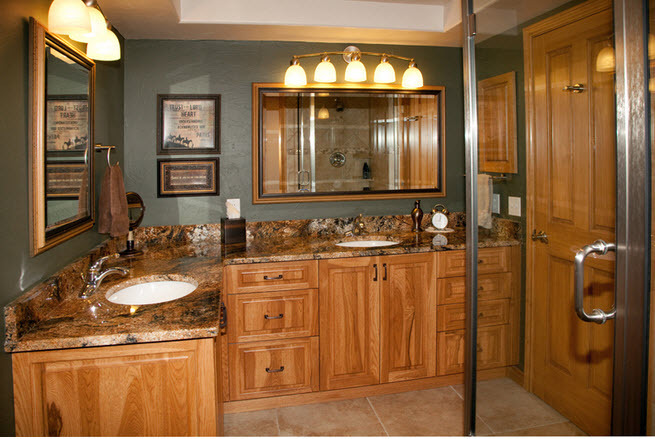 Use our Bathroom Remodeling Planning & Design Service plus expert construction management to create a wonderful bathroom as an Owner-Builder. Owner Assist Remodeling gives you the opportunity to substantially reduce the cost of any home remodeling project. We can help you to manage the project yourself. If you’re just too busy we can manage the entire project for you. Because you can recapture up to 75% of the costs when you sell your home, updating a bathroom is among the most common home remodeling projects. For example, replace a little-used tub with a spacious shower and multiple shower-heads, add heated tilefloors, new vanity tops or recessed lighting. Beautiful custom bathrooms become possible as an Owner-Builder. For bathroom design ideas, planning advice and local connections to the best trade contractor. Stylish upgrades will give you a good return on your investment plus create higher quality living space. 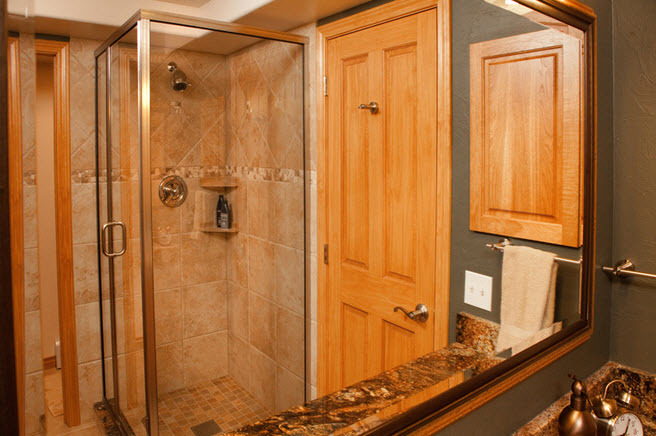 Replace a little used tub with a spacious shower with body sprays and multiple shower heads. Beautiful porcelain tile in a shower with a deco band adds greatly to the wow factor of your new bath. What’s The Average Cost for a Bathroom Remodel? We get asked this question a lot, but it’s like asking “what does it cost to repair a car?” It depends on how far you want to take it towards restoring a brand new or updated finish. 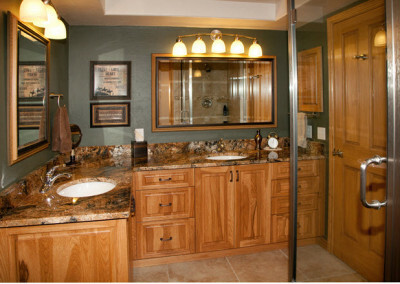 The cost of remodeling bathroom is all about how much you are doing and what level of finish is selected. 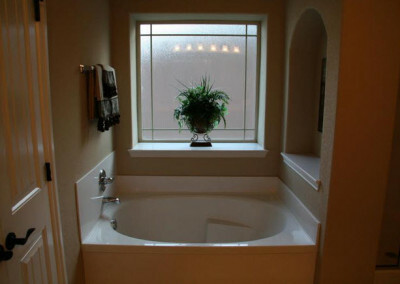 There are a lot of options and places to spend extra money in baths. Vanity tops will range from $100 or $3000. If you’re watching your budget you’ll need to watch your expenses for every new component, plus use existing fixtures where practical. 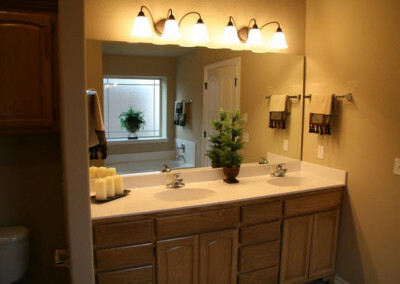 A good way to remodel a bathroom on a budget is to Do It Yourself. This might mean that you do all the work yourself, or in many jurisdictions you can manage the work as a DIY general contractor which we can help you with. You’ll avoid the high price markup of a general contractor by hiring individual trades yourself. A remodel consultant will be invaluable for finding the best best trade contractors in your Colorado area. 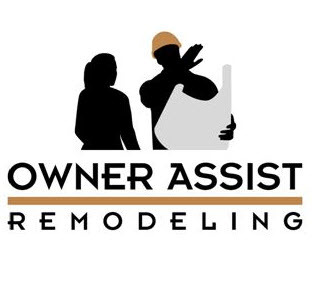 Owner Assist Remodeling specializes in helping DIY general contractors Owner-Builders plan and complete designer level bath remodel to achieve results just like the pro’s! 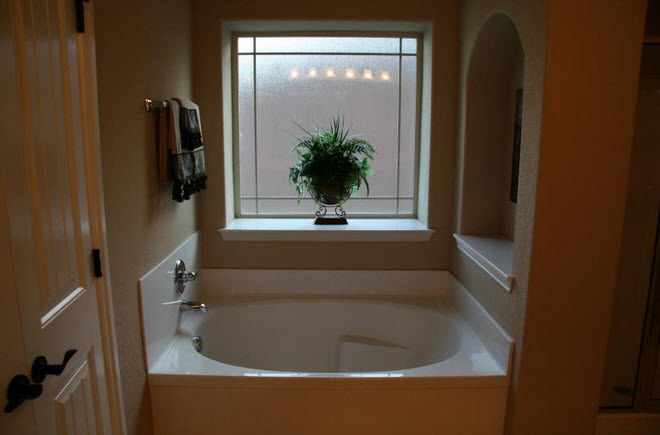 What’s The Bathroom Remodeling Process? Bath remodels happen in two stages: Planning and Construction. The work begins with dust protection and demolition, then plumbing changes are made, lighting changes, drywall installation and finishing, tile work, painting, installation of door and trim, Installing cabinets, vanities, counter tops and fixtures. Our construction managers can manage the work on your behalf to reduce stress and get professional results. Let’s meet! No pressure. Let’s talk about what you want to do.